Mr. Arango came to Greenberg Gibbons in 2004. 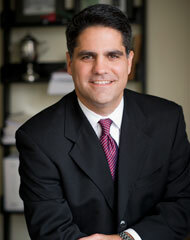 Prior to joining Greenberg Gibbons, he worked for The Rouse Company, where he was a Project Manager on office and retail construction projects. Mr. Arango has developed several projects at Greenberg Gibbons, including the Hunt Valley Towne Centre and the Annapolis Towne Centre at Parole. Current projects in development are the Arundel Gateway and the Hunt Valley Towne Centre re-development. Mr. Arango holds a Bachelors of Science in Civil Engineering from the University of Puerto Rico, as well as a Masters of Science in Construction Management from Arizona State University. Mr. Arango is also fluent in Spanish. Sturbridge Homes has been working with Brian Gibbons and the whole Greenberg Gibbons Commercial team for nearly ten years. Their word is as good as gold. They are honorable, upstanding and extremely knowledgeable businesspeople who look for fair, creative ways to make deals work. They have a knack for finding great projects and creating really beautiful developments. Sturbridge has been proud to build in several of their mixed-use developments.